I photographed my neighbors front yard last night. He has his house beautifully decorated and lights are shining really bright. 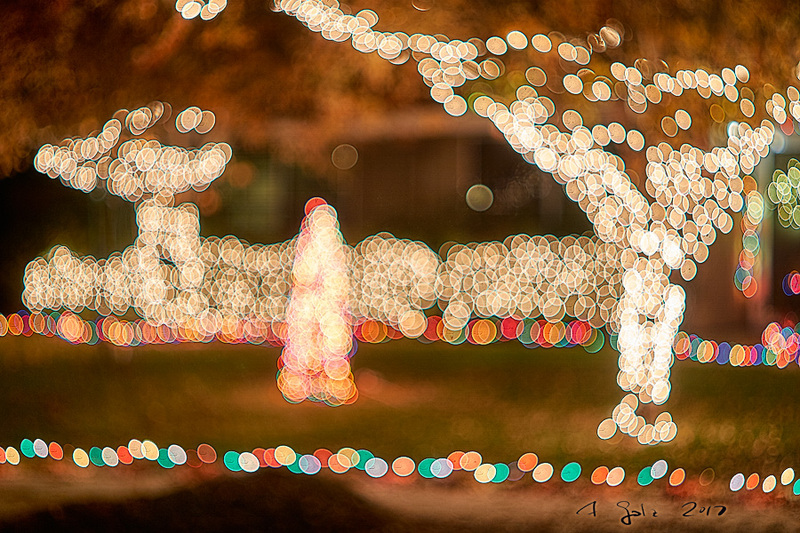 I used an old 55mm prime lens that I like because it creates such a beautiful background blur to photograph the lights purposely out of focus.